If you have been injured by someone who you think should be liable for compensating you, then you should open a personal injury claim against that person. In some instances, the defendant of a personal injury case will be a business or corporation, such as is the case is many medical personal injury claims. No matter the injury that was sustained, though, and no matter the amount of evidence available, you should still contact a reputable personal injury attorney to make sure your case is handled in the best manner possible. 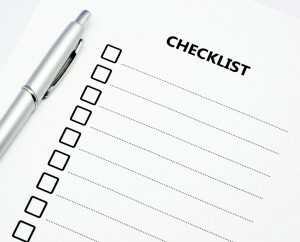 Here's a quick checklist of what to look for when hiring a personal injury attorney. If you're going to have a doctor perform heart surgery on you, you prefer to have a qualified heart surgeon, right? The same applies with a personal injury case. Just because a person is an attorney, this doesn't mean they are qualified to handle your personal injury claim. There are, however, lawyers who do specialize in this field of law, and they are the ones you will want to look for when choosing an attorney to take on your case. Has the attorney handled cases like yours before? There are no two cases that are ever exactly the same, but you do want to find a personal injury attorney who has handled -- and won or settled in the plaintiff's favor -- claims that are similar to yours. For example, if you were injured on someone else's property while riding an ATV, then you will want a lawyer who has experience in settling personal injury claims related ATVs and other people's property. Almost any reputable and highly-qualified personal injury attorney will offer you a free consultation. Not only does this allow you to gain a bit of perspective on the attorney you are considering hiring, but it will also allow you to briefly explain your claim and the lawyer can determine whether or not he or she wants to take on your case. 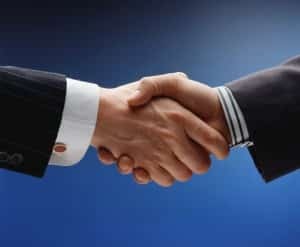 This free consultation is very important because a lawyer worth hiring will let you know if another attorney might be better apt to getting you the best settlement. Is the attorney willing to take the case to trial? Did you know that roughly 96% of personal injury cases are settled before they go to trial? That means only four to five percent of them actually go in front of a jury. With this in mind, it's simple to see that most personal injury attorneys probably don't have lots of experience in taking cases to trial. Still yet, though, you must find an attorney who is willing to go to trial because you may be part of the four to five percent that has to have the case settled by a jury. Because of this, you need to make sure you find out from the get-go whether or not the lawyer is willing to go to trial in the event that you case doesn't secure a pre-trial settlement. 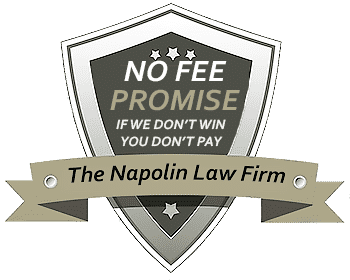 Some lawyers include expenses within fee you pay them, while others do not. You will need to ask about fees and expenses before signing a contract with a lawyer. The exact amount of money you will have to pay the lawyer for handling your case is determined by the lawyer him or herself, with many of them taking a percentage of the settlement. For example, if you're awarded a $55,000 settlement and the attorney charges a 15% case fee, then you will owe him or her $8,250 when the case is settled, and as stated before, this may or may not pay for the expenses that were paid to settle the case. Personal Injury Attorney - Motorcycle, Truck Injury Accident, Car Accident Injuries, Dog Bite, Public Place injury, Slip and Falls, Catastrophic Injury, Wrongful Death. You May Be Be Entitled To A Cash Settlement. Get A Free Case Review Today!